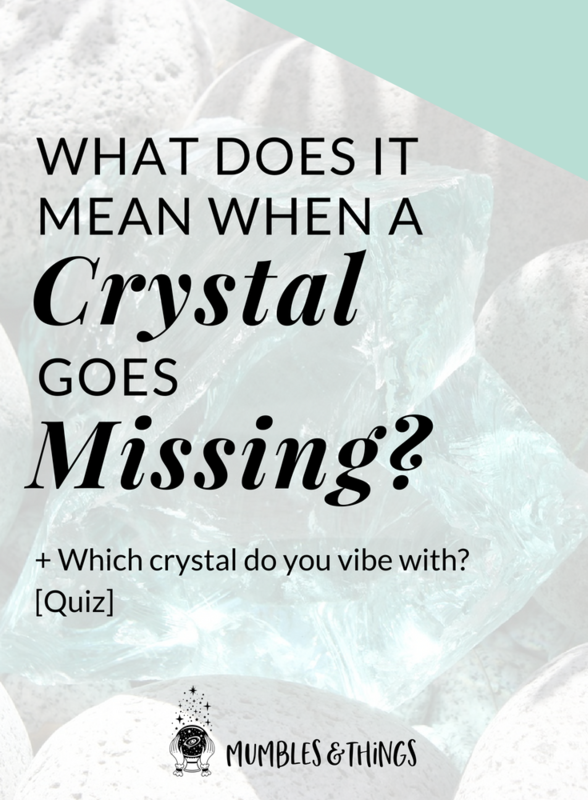 So you’ve lost a crystal and now you’re wondering if there is a deeper meaning behind this occurrence. While a lost crystal is sometimes, simply a lost crystal, there are other reasons that a stone disappears. When you use a crystal daily, especially a crystal that carries a very high vibration, the crystal may become “misplaced” occasionally. Some theories say that this happens when the crystal needs to have a break for a little while. It may reappear days, weeks, or months later, when its energy is restored and beneficial to you once more. Other theories say that some crystals feel the need to share themselves to a new owner who is in need of their energy. Some people believe that faeries, spirits, or other benevolent entities will remove crystals from their normal resting spots. While this is usually not malicious, it is sometimes mischievous! Other theories state that these beings are simply borrowing the crystal to give it some time off and they will return it when it is ready to be used again. Another theory is that crystals have the ability, vibrationally, to move into another dimension when they need to take a break. Even when not actively being used for healing or other purposes, crystals passively absorb energy from the environment. Many times you will find that they simply seem to disappear and you will find them later in a place that you’ve checked multiple times. Knowing why your crystal has disappeared doesn't help you to find it. If you would like for it to return to you, you might try some of these tips. Chalcopyrite is a good stone to use when searching for lost objects. It releases energy blockages and enhances your perception. Meditate while holding a piece of Chalcopyrite and ask for information about the location of the lost crystal. You might also write your question and place it under your pillow when you go to sleep, with the intention that the answer be provided to you in a dream. Keep a pen and paper next to the bed so that you can write down any hints you receive during the night. Many people call on Archangel Chamuel or St. Anthony to provide helpful information in this situation. You may find that you receive visions or other signs as to your missing crystal’s whereabouts through these methods. It can be disappointing to lose a crystal, but just remember that it is taking much needed time to recuperate or it has found a new home where it is needed! Have you lost a crystal? Did it find it's way back to you? Tell me about it below in the comments.